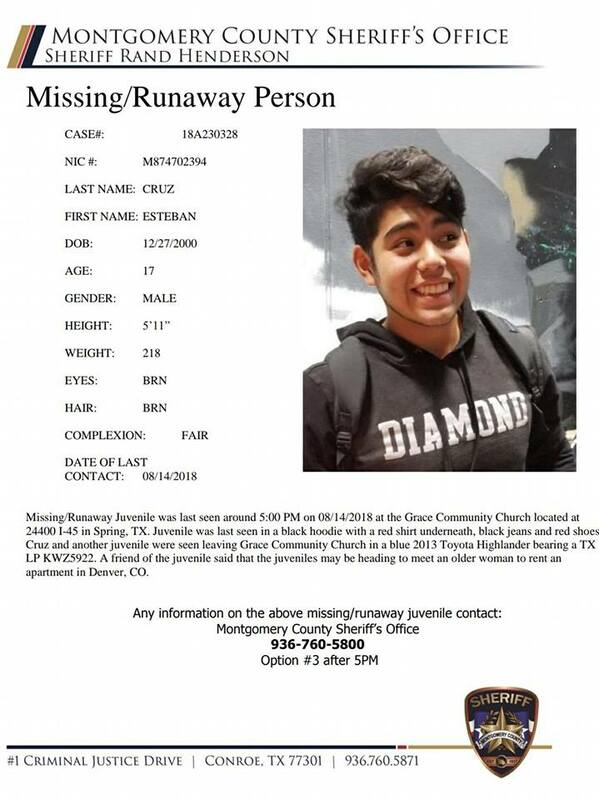 Missing/Runaway juveniles were last seen around 5:00 PM on 08/14/2018 at the Grace Community Church located at 24400 I-45 in Spring, TX. 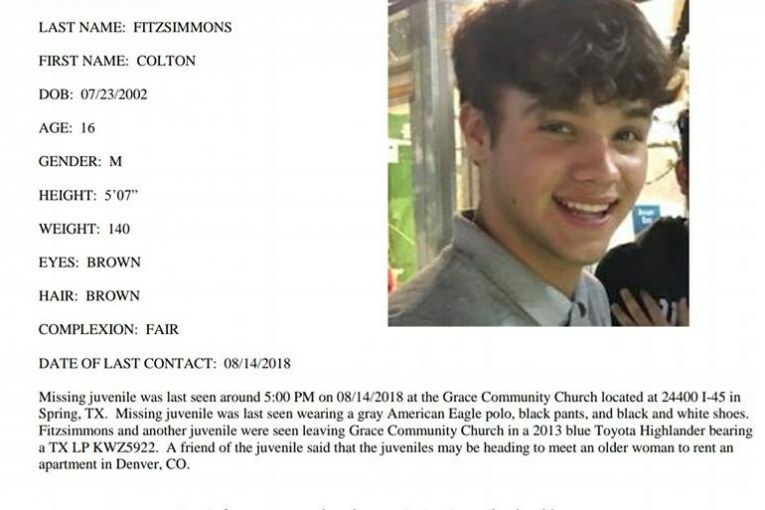 The Juveniles were last seen leaving Grace Community Church in a blue 2013 Toyota Highlander bearing a TX LP KWZ5922. 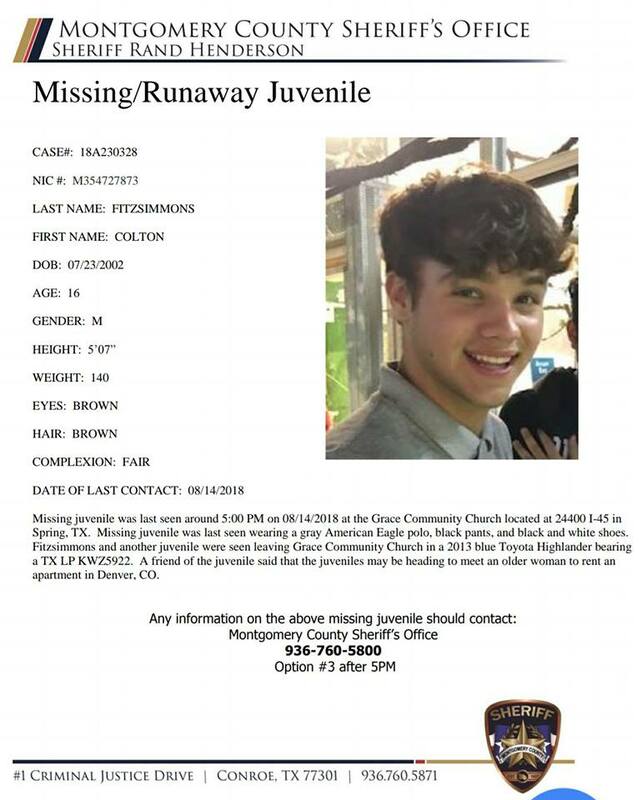 A friend of the juvenile said that the juveniles may be heading to meet an older woman to rent an apartment in Denver, CO.